Bologna are showing strong interest in Manolo Gabbiadini. According to the football transfer rumours in Italian media, Bologna are eyeing move for Southampton striker Manolo Gabbiadini. The Italy international was signed by Southampton in January 2017 from Napoli for a fee of 17.2 million euros. The 26-year-old has a contract until 2021 with the club. 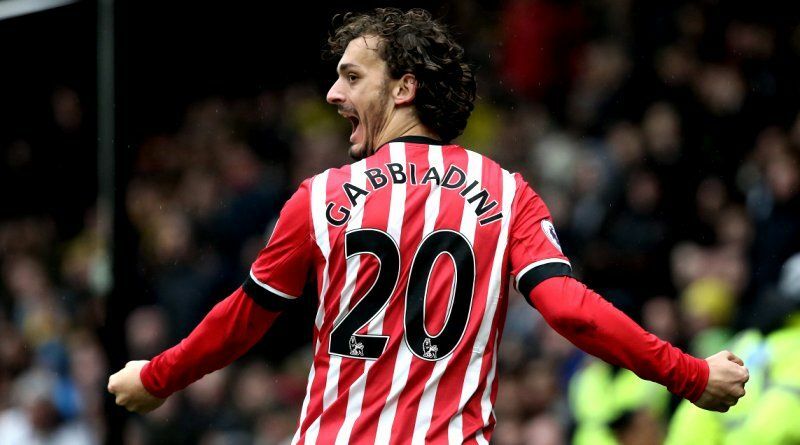 Since his arrival from Napoli, Manolo Gabbiadini has scored nine goals in 34 games for Southampton, including three goals in 22 games in all competitions this season. The 26-year-old is considered to be one of the best strikers in Italy. Manolo Gabbiadini has represented Italy at Under-20 and Under-21 level, winning 27 caps and scoring 14 goals, before making his senior international debut in August 2012. As a member of Italy national football team, Gabbiadini won 11 caps and he scored two goals. Roberto Donadoni wants to sign a new striker and Manolo Gabbiadini is one of the names at the top of his wishlist. The Italy international is thought to perfectly fit the profile of striker Donadoni wants to target in January. Bologna is desperate to make an impact in winter transfer window. According to the report, Bologna want to bring Manolo Gabbadini back to Italy, but Southampton may not let him leave in January. Gabbiadini has been identified as a target either now or in June, depending on when the Saints would be willing to let him leave. His agent also met with Bologna, as he’s keen to bring his client back to Italy in the near future. The 26-year-old is certainly a player that would strengthen the current Bologna squad and would be a good buy in January.